Manisha Sinha holds the Draper Chair in American History at the University of Connecticut. She is the author or editor of several works, including The Counterrevolution of Slavery: Politics and Ideology in Antebellum South Carolina (2000). In addition to winning the 2016 SHEAR Book Prize, The Slave’s Cause: A History of Abolition (2016) was awarded the Organization of American Historians’ Avery O. Craven Award for Best Book in the Civil War Era (2017), was a finalist for the 2017 Frederick Douglass Book Prize (Gilder Lehrman Center for the Study of Slavery, Resistance, and Abolition, Yale University), and made the long list for the 2016 National Book Award for Nonfiction. Manisha Sinha (MS): The Slave’s Cause is a comprehensive history of abolition that extends its boundaries back to the revolutionary era and employs a social movement perspective to highlight the roles of ordinary men and women, black and white. Challenging conventional historical wisdom, it argues that slave resistance rather than bourgeois liberalism defined the movement and that the abolition overlapped with other contemporary transnational radical movements such as feminism, utopian socialism, pacifism as well as the struggle for labor, immigrant, and Native American rights. MS: If I was to be flippant, I would say that I chose to write about abolitionists because I wanted to write a book about people I liked, my first book was on southern slaveholders. But in a way my first book did lead me to this project. I had written about South Carolinian slaveholders, who were at the vanguard of secessionist and proslavery ideology and I wanted to explore the opposite of that ideological position, which led me to the abolitionists. Ironically, many US historians have been far more respectful of the ideas and words of slaveholding politicians and constitutionalists than abolitionists, whose ideas were commonly dismissed as rhetoric and who were caricatured as unthinking extremists and fanatics. I wanted to engage the words and ideas of these men and women, many of them former slaves, who proved to be a match for the slaveholding class. Of course, it helped that I taught at Massachusetts and many of my archives were near me! 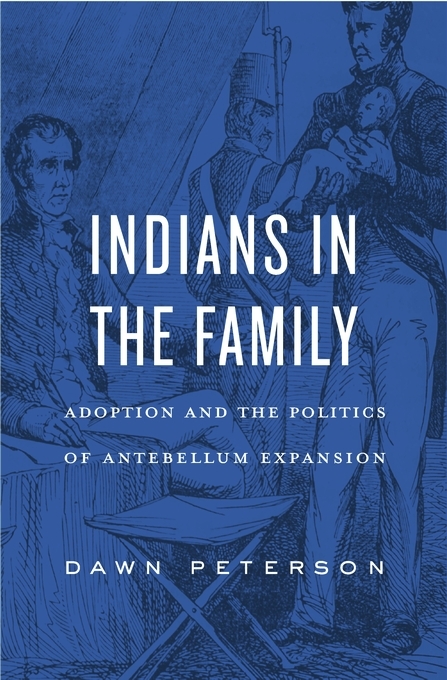 MS: The idea for this book was perhaps born in my advisor Eric Foner’s class The Radical Tradition in American History, when he bemoaned that the abolitionists still lacked a good book. Probably most influential were African American writers and historians like W.E.B. Du Bois, Archibald Grimke, Charles Wesley and Carter G. Woodson who had a very different perspective on abolitionists than mainstream American historians, many of whom like David Donald were southerners and quite biased in their view of abolition. I was also inspired by many recent historians, who had written about various aspects of the movement and groups of abolitionists like John Stauffer, Nell Painter, and David Blight that pointed the way to reimagining the abolition movement as a radical, interracial social movement. I found the work of David Brion Davis to be foundational even when I disagreed with him. it comes to this topic? MS: I think the public perception and memory of the Civil War and the history if slavery has long been at odds with that of professional historians. That is changing now as more and more prominent historians engage with the public and write books meant to reach wider audiences. But that can be a painfully slow process and here I think one must give credit to public history sites and museums, journalists and writers, who are now making a serious attempt to convey the latest in historical scholarship to larger audiences. There will always be some people who will outright reject information that challenges them and deeply rooted beliefs, a parallel perhaps is climate change deniers. Perhaps we are partly to blame for not conveying our scholarship to broader audiences. I have recently written about this in an anthology, The Future of History, put out by the Massachusetts Historical Society. MS: I am currently writing a book about Reconstruction. I want to explore what happened to the abolitionist project after the war and why the success of their program for black citizenship was so short lived. • foster audience participation, feature pre-circulated papers, or assess the state of a given field. Individual proposals will be considered, but the program committee gives priority to proposals for complete panels that include a chair and commentator. Attention should be given to forming panels with gendered, racial, institutional, and interpretive diversity, representing as well different professional ranks and careers. Individuals interested in serving as chairs or commentators should submit a one-page curriculum vitae. Please do not agree to serve on more than one proposed panel. The committee reserves the right to alter and rearrange proposed panels and participants. Please employ the guidelines available under the “Annual Meeting” menu at www.shear.org when preparing your proposal. Deadline for submission is December 1, 2017. Please submit your proposals by email to the program committee co-chairs at mailto:shear2018@gmail.com with “SHEAR2018” in the subject line. When I was asked to serve as a designated live-tweeter and write a blog post for SHEAR 2017, I was thrilled. I had been to SHEAR once previously and had enjoyed the experience. Moreover, I looked forward to helping share some of the exciting new scholarship on Twitter, having benefitted from others who live tweeted the conference in the past when I was unable to attend. While at SHEAR, I attended some truly invigorating panels, focusing on everything from transnational speculation and state formation to imagining native futures, from life insurance and minimizing risk to the class dimensions of negotiating marital boundaries, and from the president’s cabinet to how to teach the early republic in the age of Trump. (You can find my live tweets by clicking on the Twitter hashtags #PN15, #PN22, #PN29, #PN36, #PN42, and #PN45.) I left SHEAR invigorated, with great suggestions and inspiration for my own work – and new ideas for teaching the early republic. 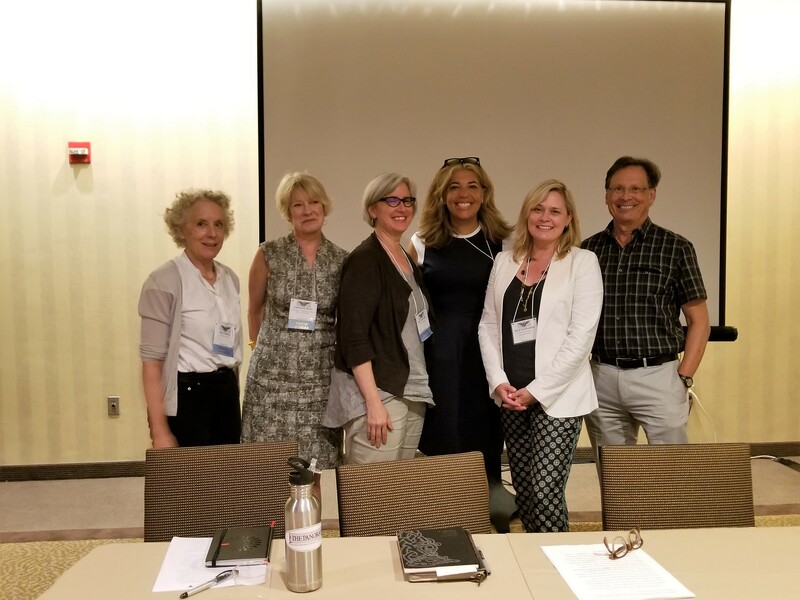 Initially, I planned to write a blog post recapping one of the panels I had attended and focusing on some of this new scholarship that was particularly fascinating for me. But, as I planned out this blog post and spoke to friends and colleagues about my experience at SHEAR, I kept returning to one aspect of the conference in particular: the level of engagement, community, and support at SHEAR is unparalleled, particularly for graduate students and early career scholars. I soon realized that this aspect of the conference deserved attention. Most conferences, even the ones that consciously work to support graduate students, don’t come close to the level of engagement and support that SHEAR provides. When I attended my first SHEAR (in Raleigh in 2015), I was impressed by the turnout to different panels – some were standing room only, though I noted that much of the draw seemed to be “big names” on the panels. This year, I paid more attention to the makeup of the panels and the resulting audiences and was even more impressed. Rarely do you find a conference where senior scholars are not only chairs of panels or participating in roundtables but also actively attending other panels and engaging with the work of graduate students and other early career scholars. As a graduate student who is in the depths of writing my dissertation, I am greatly appreciative of opportunities to receive this level of feedback, engagement, and advice. Following in Lindsay Chervinsky’s shoes, I’d like to offer a few observations about SHEAR’s high levels of engagement, community, and support and why graduate students and early career scholars in particular benefit from attending. Support of graduate students. This seems like an easy thing to do, and many conferences offer similar graduate lunches or reduced conference registration rates for graduate students. However, one of the things that stands out about the SHEAR experience as a graduate student is the fact that panels that are largely (or wholly) made up of graduate students are just as well attended as panels with more senior scholars. Not only are the panels well attended, but the audience is engaged, providing graduate students with the opportunity to get some real feedback. The participants. Like Lindsay said in her blog post about the roundtable that she attended, this aspect of the conference is not as easy to replicate. SHEAR brings together a group of scholars who are excited about new scholarship, open to new and diverse approaches, and supportive of scholars just starting out. From discussions that I was privileged to have with some scholars who have been attending SHEAR for years, I’ve realized that this level of support for new fields and ideas was a conscious effort by many individuals within SHEAR to change the status quo. Because of these individuals, SHEAR is a place where a graduate student or early career scholar working in an area that is new (and perhaps not fully understood by the profession as a whole) can present and receive valuable feedback. Not only that, but reflecting on the president’s plenary reveals that SHEAR’s commitment to supporting new approaches extends to a space typically reserved for very senior scholars. Support of early career scholars. One need look no further than the second book workshops and the roundtable on how not to write your second book to recognize that SHEAR is committed to supporting the careers of younger scholars. While I may not have attended either of these, I heard from others who did attend how helpful they were – and how invigorating the experience was. Opportunities to network with senior scholars. What stands out about the opportunities that SHEAR offers for networking with senior scholars in the field is that they are all relatively low-stakes. Perhaps the best example of this (although it is limited to women!) is the Boydston Women’s Breakfast. Having breakfast with a host of other scholars, both early career and established, is an informal way to start to form relationships, to hear about the experiences of older scholars, and to receive some advice. The different receptions that SHEAR hosts feel much the same, with more established scholars open to in-depth discussions with junior scholars – whether about research and writing, life balance, or the job market. In fact, one of the best and most productive conversations that I had at SHEAR was actually a conversation on the shuttle returning from the presidential reception on Saturday night, a conversation that gave me new ideas about how I might apply my research to the job market. Opportunities like this abound for graduate students at SHEAR. The level of engagement, support, and community at SHEAR deserves recognition. Graduate students and early career scholars in particular have the potential to greatly benefit from attending SHEAR. Moreover, other conferences can and should build on SHEAR’s example and actively work to build an engaged, supportive community of scholars. Mandy Cooper is a Ph.D. candidate at Duke University. 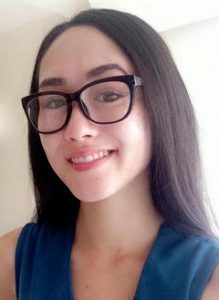 Her dissertation research focuses on the role of families in the larger project of nation building in the decades between the Revolution and the Civil War. If you haven’t been to HSP within the last five years, you’ll need to fill out a new registration form; you can download and print the form here to fill out ahead of time if you wish. HSP has scheduled extra staff for paging but wait times may be longer than usual due to a high volume of researchers. Research hours on Thursday and Friday will be 10am to 5:30 pm, with last admission and last call slips accepted at 4:45. You may bring in anything that opens on three sides like a book: laptops, loose papers, notebooks, legal pads, index cards, phones, tablets, etc. No pens, highlighters, food, or drink in the library. Anything that closes like a backpack, briefcase, or purse may not enter the library (except in cases of medical need); HSP has approximately 80 lockers in the lobby, but if you have a room at the Doubletree it would be best to leave bags there if you can. Microfilm machines accept flash drives for saving images from film. Photography without the use of a flash is permitted for non-commercial use. Photocopies are $0.50/page, and may not be available on the same day depending on the volume of researchers. For attendees who use Twitter during the annual meeting this week, we recommend using the official conference hashtag #SHEAR17 to make conversations easy to follow. In addition, if you tweet about an individual session, we recommend adding a second hashtag in the form #PN[number]. Tweets about, e.g., Panel 53, “The Public Language of Class in America,” should end in the hashtags #SHEAR17 #PN53. Using both tags will make it easier for other users to follow and engage in the conversation. Please also remember to respect panelists’ wishes regarding social media broadcasting. If they or the session chair ask that a presentation not be shared on social media, please respect their request. SHEAR 2017: Less Than One Week Away! Dear SHEARites, it’s less than a week until our 39th annual meeting opens in Philadelphia and I have a few updates and reminders to share with you. Pre-registration is now closed. You may register on-site but please remember that we can accept only cash or checks, no credit cards. Thursday registration from 5:00 to 7:30 pm at Golkin 100, Michael A. Fitts Auditorium, UPenn Law School, 3501 Sansom St.
Free shuttle vans will make a continuous loop between the DoubleTree and the Independence Seaport Museum, 211 S. Christopher Columbus Boulevard, from 5:00 until 8:00 p.m. Return trolleys will begin shuttling back to the hotel between 9:00 pm until 10 pm. Subway: Take the Market Street Line east to 2nd Get off and walk south two blocks to Walnut Street, turn left, and walk across the Walnut Street bridge. The Independence Seaport Museum is the building on the right once you have crossed the bridge. Bus: Walk to Chestnut Street and take either the 21 or 42 bus east. Get off at 2nd Street, walk south one block to Walnut Street, turn left, and walk across the Walnut Street bridge. The Independence Seaport Museum is the building on the right once you have crossed the bridge. Walking from the Doubletree: Walk one block north to Walnut and turn right. Follow Walnut for fourteen blocks; once you have crossed the Walnut Street bridge, the Independence Seaport Museum is the building on the right. A reminder that HSP is offering free admission to conference-goers next week and the Museum of the American Revolution is offering discounted tickets to registered conference-goers from 19 to 23 July. I send you traveling mercies and look forward to seeing you in Philadelphia next week. If you need anything before then, please e:mail me at robyn.davis@millersville.edu. http://ehub42.webhostinghub.com/~shearo6/wp-content/uploads/2013/04/logo_sm.png 0 0 Mark Cheathem http://ehub42.webhostinghub.com/~shearo6/wp-content/uploads/2013/04/logo_sm.png Mark Cheathem2017-07-14 19:21:542017-07-14 19:21:54SHEAR 2017: Less Than One Week Away! If you are planning to attend SHEAR’s annual meeting in Philadelphia later this month, remember that pre-registration closes this Friday, July 7. Please also note that on-site registration is possible, but you must pay with cash or check (no credit cards), and there is an additional $30 fee as well.